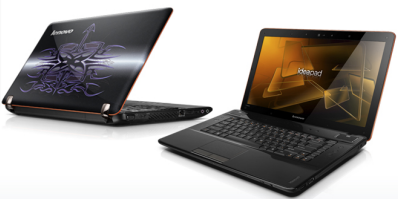 Lenovo today announced the Lenovo IdeaPad Y560d, the company’s first multimedia laptop with a 3D display. The Y560d features the TriDef 3D technology solution, which includes a 3D screen, software and glasses 1, so users can experience the unique sensation of visual immersion within their favorite movies, pictures and games. Lenovo Enhanced Experience for Windows 7 is a unique Lenovo certification that delivers an optimized boot-up and shutdown process, rich multimedia capabilities and easy system maintenance tools. With RapidDrive technology, users can experience Windows 7 boot up 66% faster4, start favorite applications two-times faster5, and copy files within the computer in less than half the time6. The Lenovo IdeaPad Y560d laptop is available by the end of June on www.lenovo.com and will start at approximately $1,199.99.